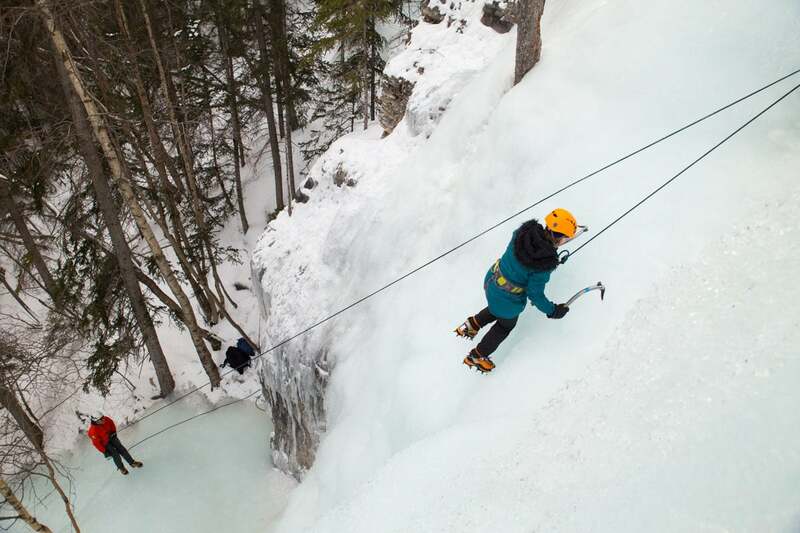 Banff and the surrounding areas are an outdoor adventure playground in winter! 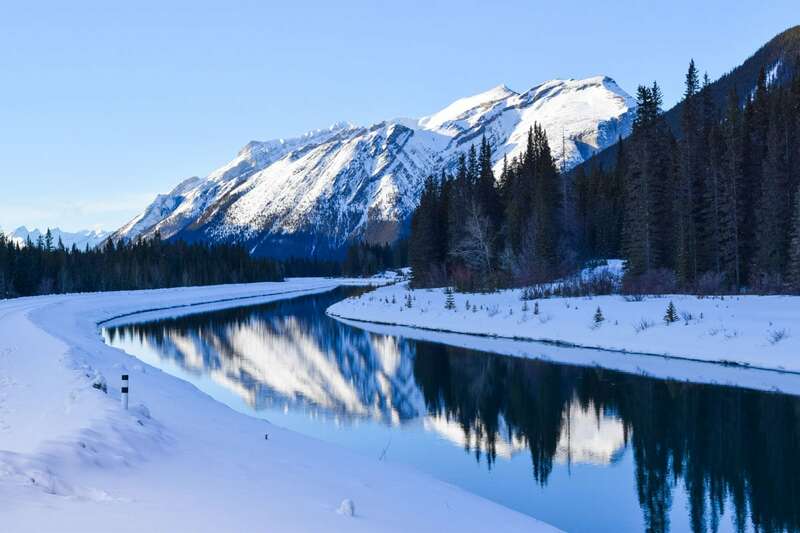 From hiking, snow tubing and gondola rides, to hot springs, ice climbing and helicopter tours, there are plenty of great things to do in Banff, even for non-skiers who still fancy a winter holiday in Alberta, Canada. What an epic trip! I used the E word a lot during my week in Alberta, Canada, but I can’t think of a better word to describe the scenery. Just before we arrived, around 3ft of snow had fallen, making it a winter wonderland dressed in a blanket of white powder. We assumed this was normal! But no, even the locals were surprised by how deep it was. 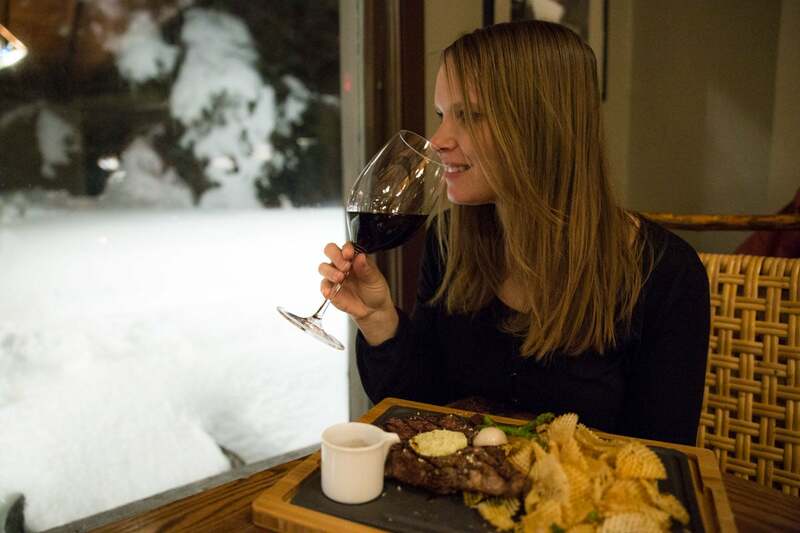 Resorts in the area said it was the coldest winter and the most snow they’d seen in 60 years! We decided we were lucky. 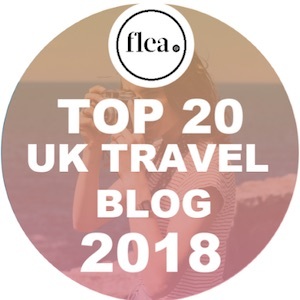 After all, we wanted a snowy road trip with days full of fun activities, and cosy evenings in local restaurants and hotels. Alberta is famous for its skiing and snowboarding. 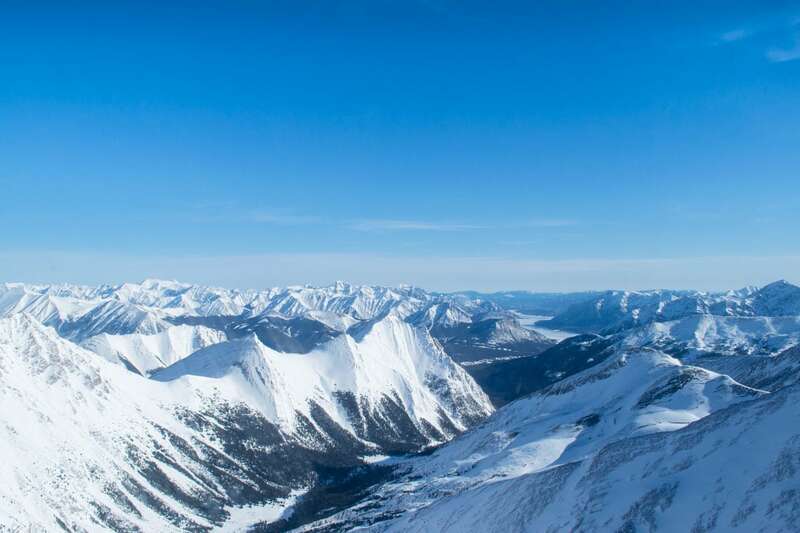 There’s the SkiBig3 – three resorts (Sunshine, Norquay and Lake Louise near Banff) which offer some of the best slopes in the country. But what if, like me, you’re not a natural snow bunny, shoop shoop shooping down the slopes with ease – is there still enough to fill a week’s holiday? YES! Absolutely loads in fact! Over seven days we road tripped around the region, finding some of the best views, ice climbing our way up frozen waterfalls, travelling on gondolas and chair lifts, getting our adrenaline fix with high speed snow tubing, and snowshoeing through untouched parts of the national parks. 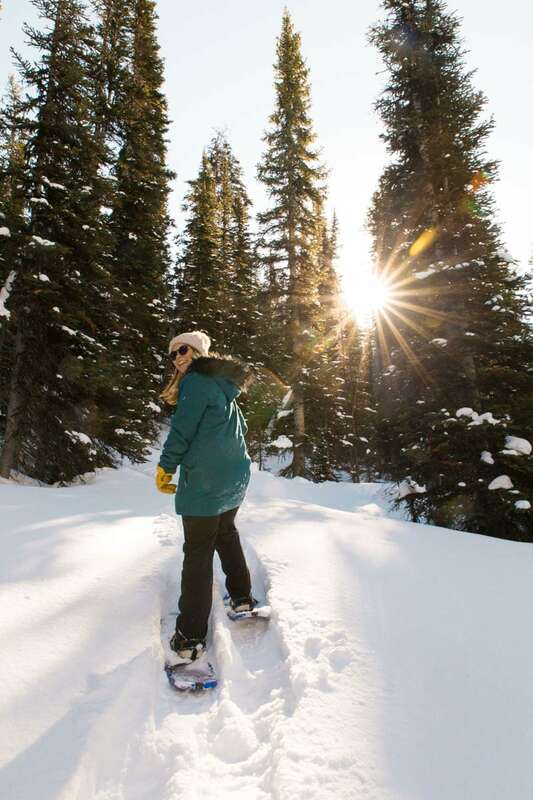 If you’re considering a trip, and don’t ski, or at least don’t want to spend ALL of your time on the slopes, check out the video below and scroll down for the full guide to what else you can do in beautiful Alberta in the winter. The views from the viewing platforms at the top of the Banff Gondola are some of the best I saw during my time in Alberta. 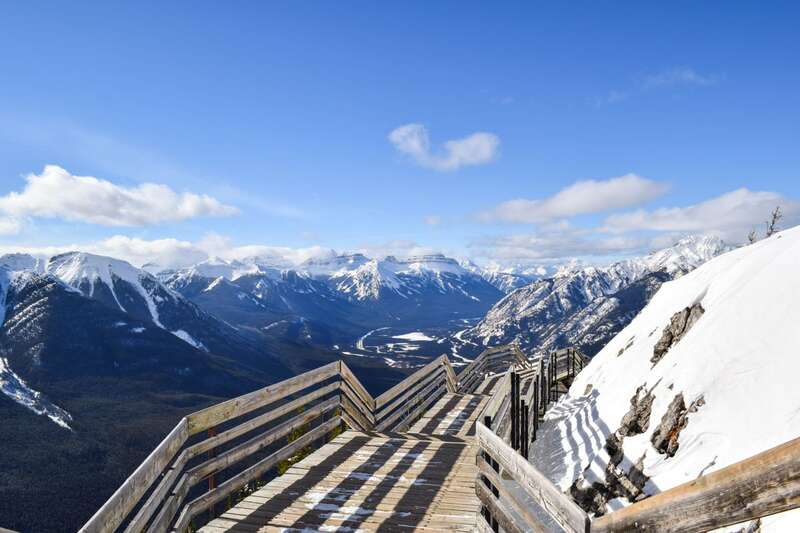 The gondola ride takes around ten minutes and once at the top of Sulphur Mountain you can wander the picturesque walkways. 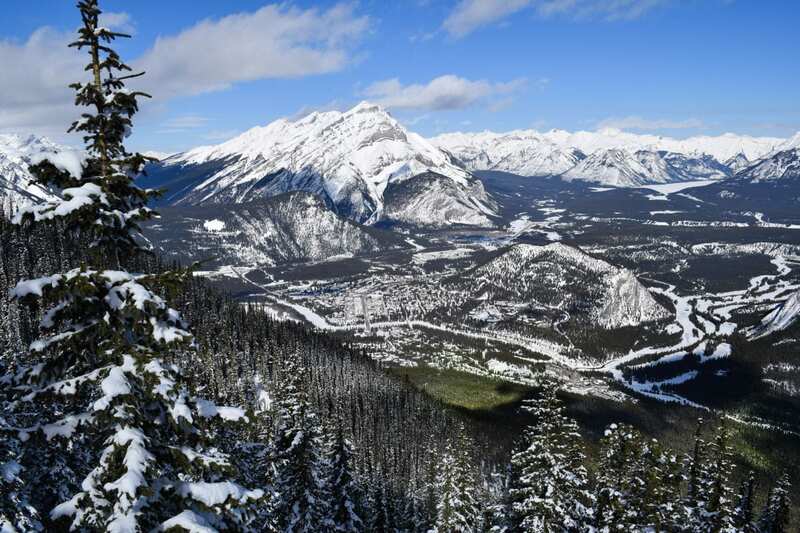 At an elevation of 2281m, the views really are spectacular, looking onto the town of Banff and beyond to frozen lakes and snow-covered mountains. There’s a café and restaurant, plus an exhibition and shop. I loved taking a peek into the café and seeing people there with their laptops working. I decided it must be one of the best ‘office’ views in the world! 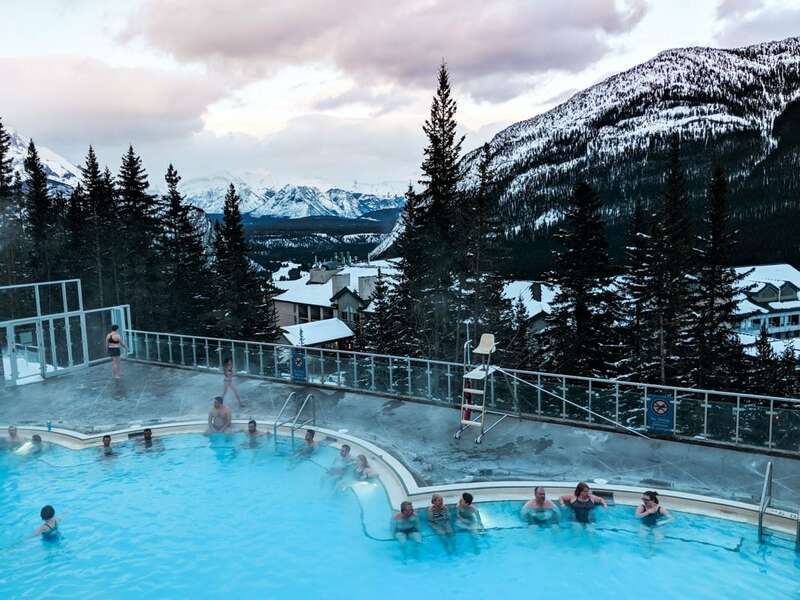 Moments from the Banff Gondola on Sulphur Mountain are the hot springs. It’s a great combo to head up the mountain first and then relax and unwind in the thermal waters. They draw quite big crowds, so it’s worth planning your visit for a weekday, or before the skiers/snowboarders turn up after a day on the slopes. There’s no better place to relax and warm up, all while taking in the stunning Rockies all around. This was a big adrenaline rush for me! 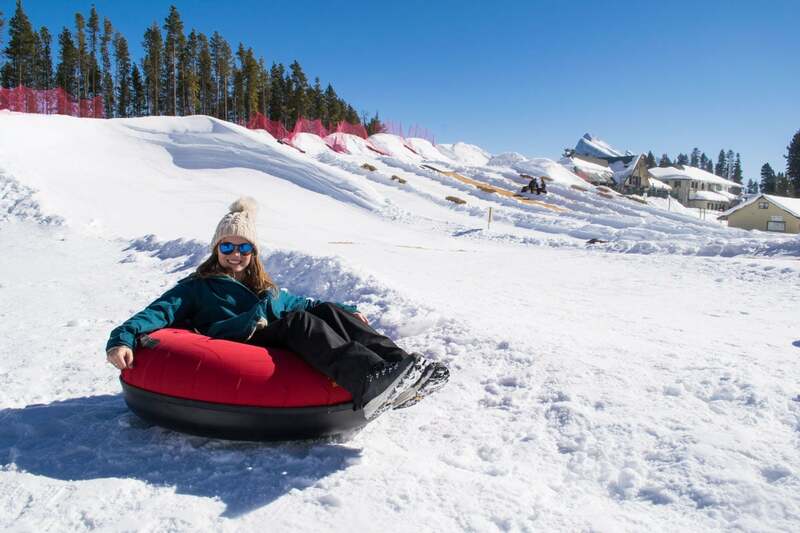 Norquay is the best place to snow tube in the region, and if you don’t know what snow tubing is… think big rubber ring whizzing down an icy slope! At Norquay there are several lanes, so you can race your friends. You can also link up your tubes so you all go down together. While Lake Louise Ski Resort also offers snowtubing, Norquay has more lanes and is a lot faster. 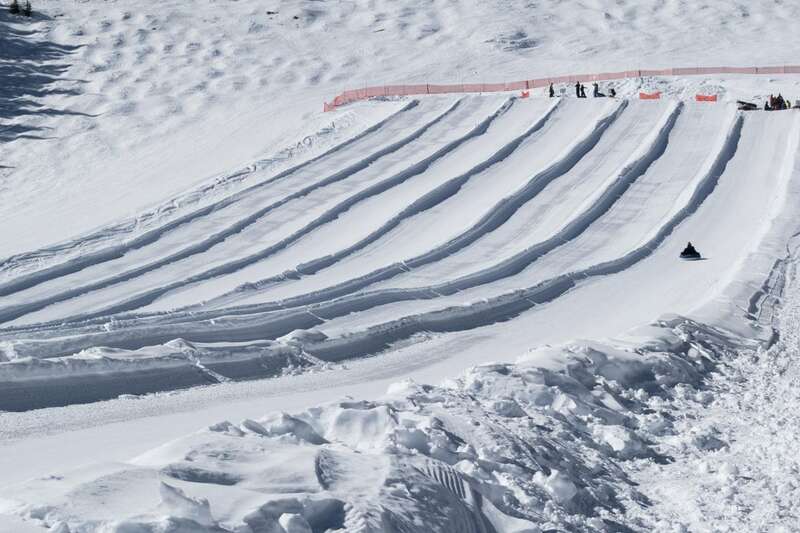 It’s super fun, fast and a great way for non-skiers to still enjoy the slopes! One way to get up close to the landscapes in Alberta is to climb them! We spent half a day with Yamnuska Mountain Adventures learning to ice climb at a place called The Junkyards (just outside Canmore). To be honest, climbing up a frozen waterfall with crampons and two ice axes wasn’t something I thought I’d be capable of doing – but I did it! It’s physically challenging, and for me, I faced a few mental battles too. Genuine fear of slipping, falling and whether my strength would be enough. I couldn’t quite believe I summited the wall but left with only a few bruises, a heap of memories and my head held high! 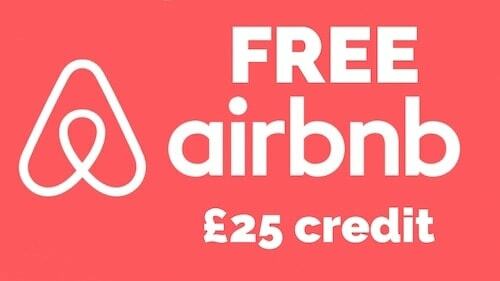 It’s definitely one to try out if you’re visiting to region in the winter months. There were a lot of firsts on this trip for me! I’d never ice climbed, snow tubed or snowshoed. I didn’t even know what a snowshoe was until I stepped foot in Canada! I quickly learned they were large, flat footwear accessories with crampon-style grips on the bottom. You strap them to the bottom of your shoes to increase your surface area on thick snow, so as not to sink down so deeply. The grips also help with tricky icy sections too. 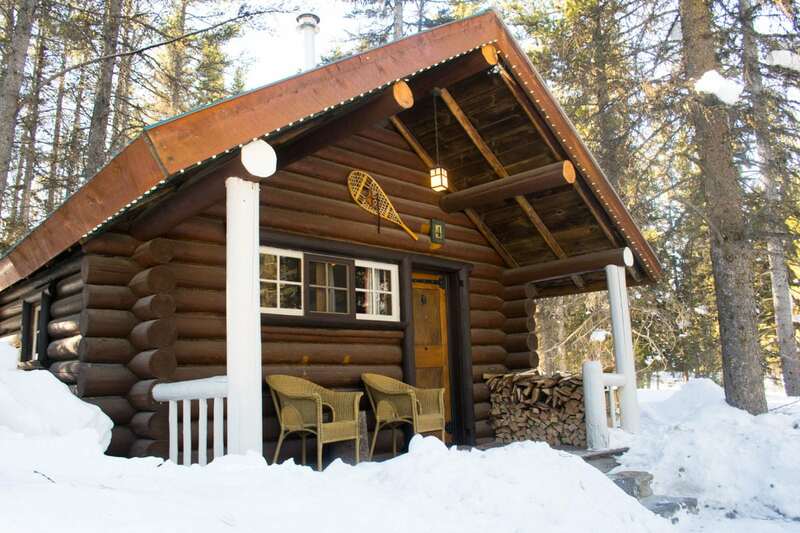 Most of the gorgeous lodges we stayed in had complimentary snowhoes to borrow and plenty of trails to recommend. We also went on a guided snowshoeing tour at Lake Louise Ski Resort which involved taking the gondola to the top, then exploring the areas around the ski slopes. Our guide was full of information about the landscape and wildlife, plus the views were stunning up there. This was the highlight of our entire trip through the Rockies! 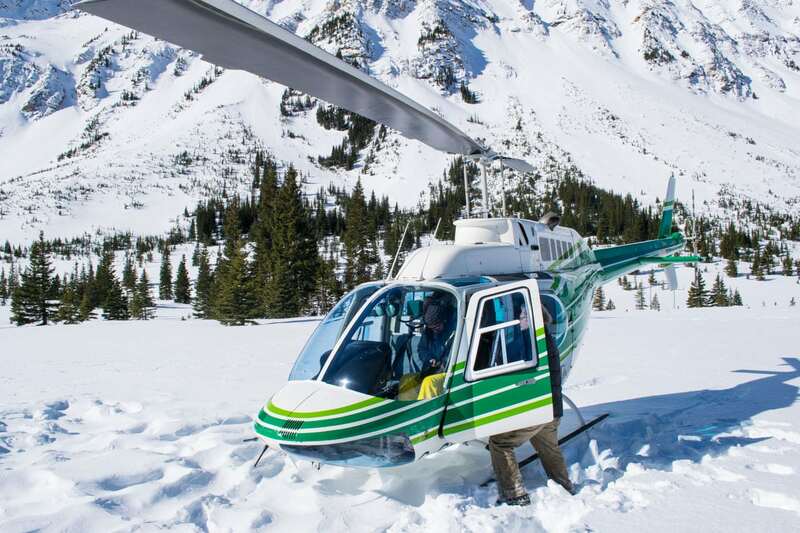 We enjoyed the special two-hour Ice Bubbles experience which involved flying over the stunning mountains, glaciers and River Cline with Rockies Heli Canada, then landing in a hidden valley, snowshoeing through untouched forests for an hour (with a hot chocolate stop along the way!) and then flying back to heliport before checking out the unique ice bubbles that you can see nearby (more on that below). The views from the helicopter flight were absolutely breath-taking. We flew so close to the mountain peaks, it felt like we could reach out and touch them. Landing in the snowy valley was totally unique too – what a buzz as we touched down and wandered to areas you just can’t reach on foot at this time of year. All in all, it was a bucket list activity I feel lucky to have experienced, and one I’d definitely recommend if your budget permits. Beautiful white bubbles trapped in a frozen lake – WOW! I’d never seen or heard about this natural phenomenon before. It’s caused by methane gas getting caught below the surface, which then turns into bubbles within the ice itself. They’re very pretty, and it was fascinating to see bubble after bubble going deep down through the ice. It was also very slippery, and a fun surface to slide all over for a few photos! 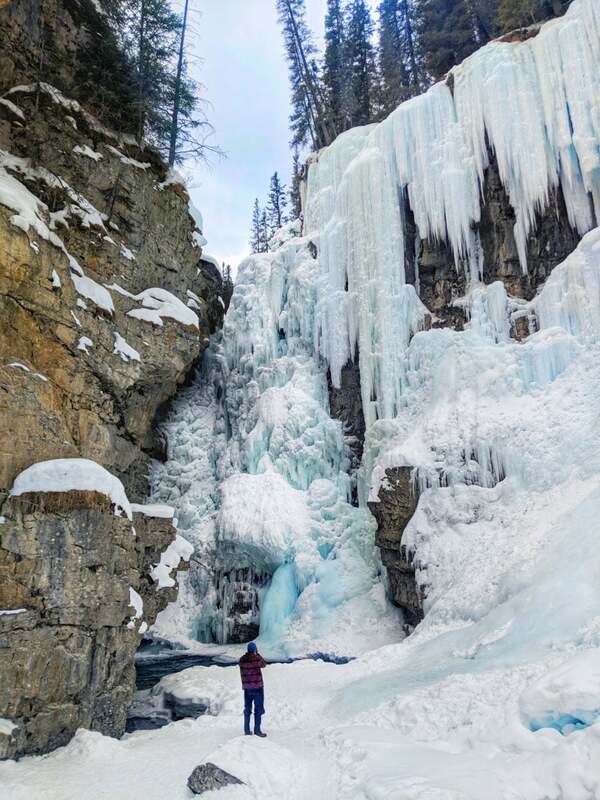 The hike along Johnston Canyon is one of my top tips for winter hikes around Banff. Along with forests and the steep edges of the canyon, there are two impressive waterfalls to see (the upper and lower falls). As we visited in winter, they were totally frozen, like a magical ice castle! While you can see the lower falls from a small cave entrance, the upper falls wrap around a larger area and are absolutely spectacular. 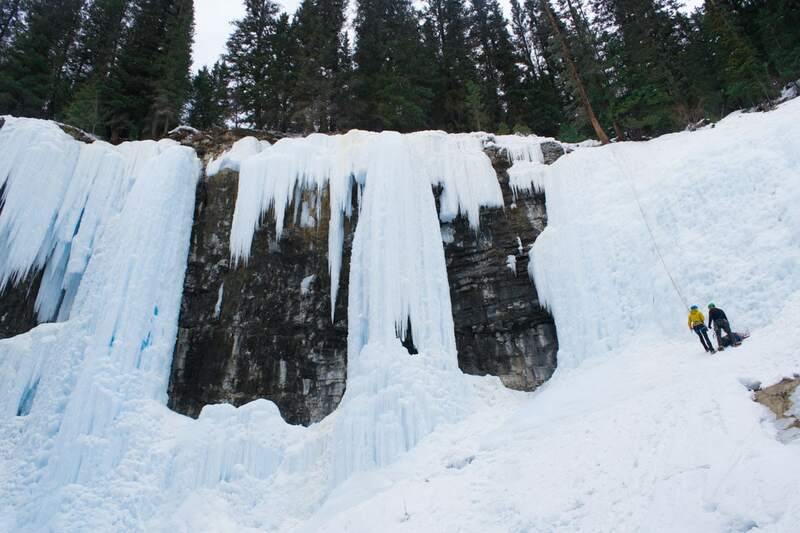 There were even a few brave ice climbers summiting a steep section of the frozen falls! We visited Johnston Canyon plus a few other beautiful local spots while on a tour with the lovely May from White Mountain Adventures. She drove us to a few places we never would have found on our own, and taught us plenty about the local area, its history, wildlife and more. This has to be one of the most spectacular ice rink locations on the planet! 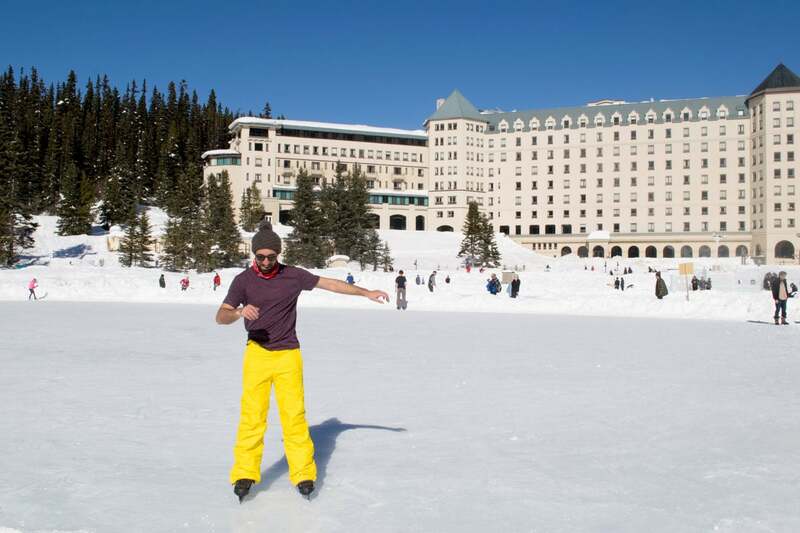 On the frozen Lake Louise (which is usually a bright blue in the summer months) the ice rinks are just in front of the iconic Fairmont Chateau Lake Louise. It’s like something out of a fairy-tale! You can hire skates at Le Chateau ($13 for two hours) or if you’re not feeling active, take a seat on the edge and watch the pros play ice hockey. Is driving an ‘activity’? It is when it’s one of the most picturesque road trips in the world! The scenery in this part of Alberta is so dramatic with rugged mountains, icy glaciers and frozen lakes flanking the highways. 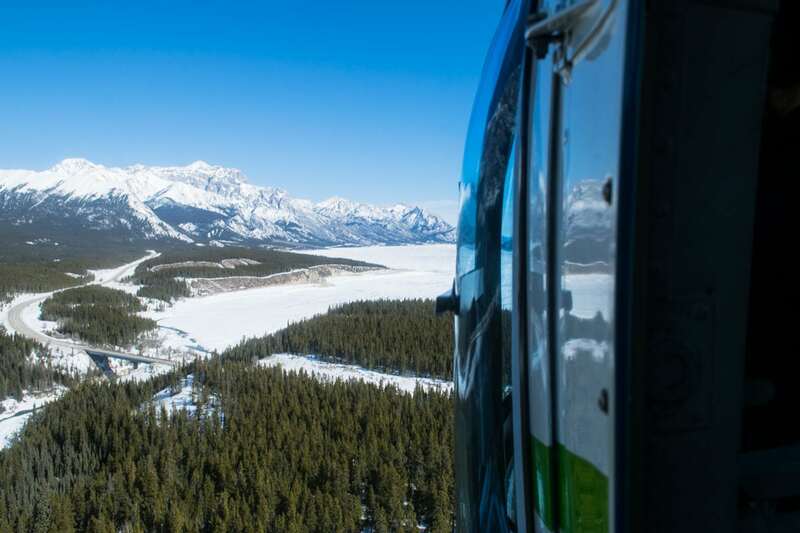 It’s hardly surprising to hear the Icefields Parkway (which links Lake Louise with Jasper) is often described as one of the world’s most beautiful car journeys! Driving in this region is really liberating as you’re able to park up and hop out to snap photos along the route too. 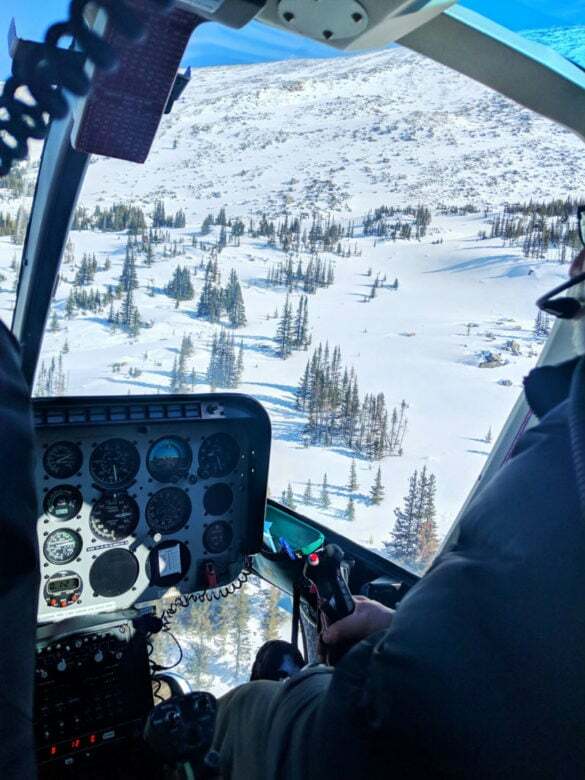 In winter months, you may find it’s closed from time to time due to snowfall or avalanches, so always allow extra time. 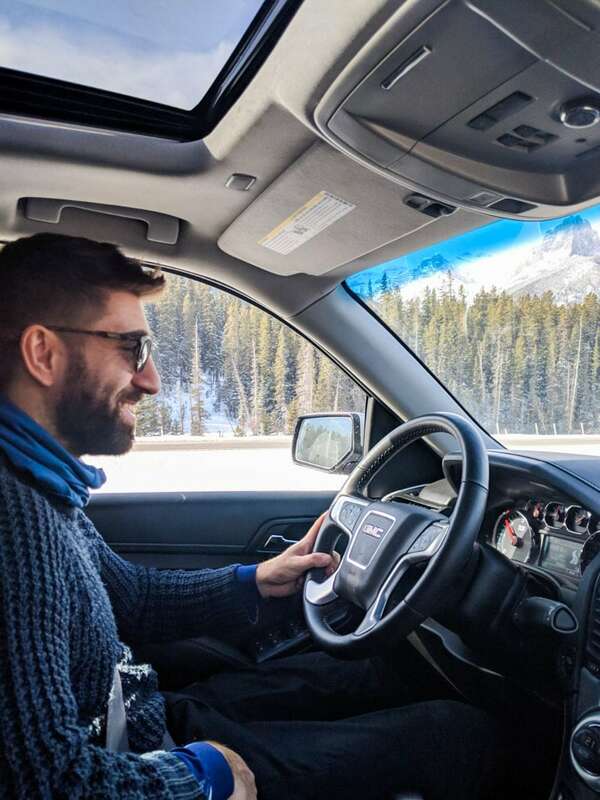 Also, if you’re exploring Alberta and tempted to explore parts that are away from the main highways, be sure to book winter tyres on your rental car. Conditions can be treacherous, especially when you’re not used to driving on snow and ice. 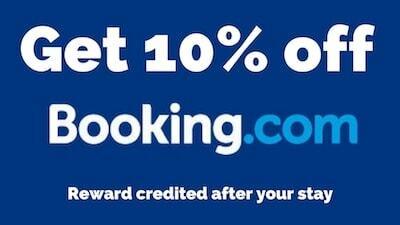 There are lots of fab places to eat and drink, spanning every budget. The best food we ate was actually at the lodges we stayed at. If you’re looking for detailed info, check out my blog all about Top Restaurants Hotels And Bars In Alberta, Canada! The food at Mount Engadine Lodge was absolutely incredible. Meals are served ‘family style’ i.e. everyone who is booked in overnight sits around one big table. It was great to meet other guests and hear their stories and what they had planned for their time in Alberta. Starters were individually plated, while mains came out on big sharing plates. On our first evening we enjoyed perfectly cooked scallops with a flavoursome pea puree and heritage carrots, followed by tender beef short rib with roasted root vegetables. We also loved their afternoon charcuterie boards, and noticed that even if you weren’t staying there, you could stop by on your hike and enjoy a platter by the fireplace. The food at Deer Lodge, moments from Lake Louise, was also top notch. One lady recounted how many people who stay at the famous Fairmont Chateau down the road, choose to dine in the restaurant here as it has such a great reputation. We enjoyed a starter of seared tuna, followed by elk steaks and top Alberta beef sirloin. 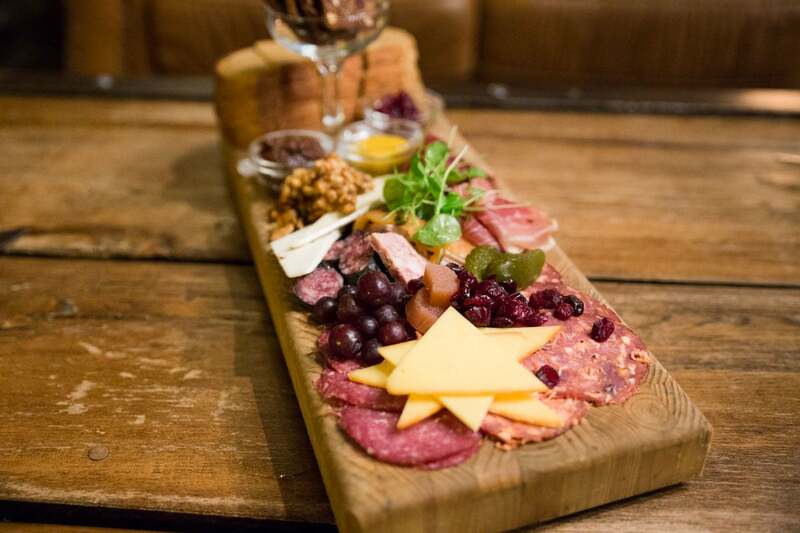 The wine list at Deer Lodge is vast and features plenty of Canadian wines. I loved the descriptions e.g. Perfectly delightful pears dance and swirl around your head… this is wonderfully pleasant! You could tell wine director Brad had sampled everything in the collection and really enjoyed describing them. Another favourite meal came on the final night of our trip at Storm Mountain Lodge. This was one of our favourite places to stay on the trip, checking into one of their adorable log cabins. The restaurant in the main lodge has an exceptional foodie reputation. We enjoyed an enormous charcuterie platter to start with local game pate, elk, spicy salami and plenty more! 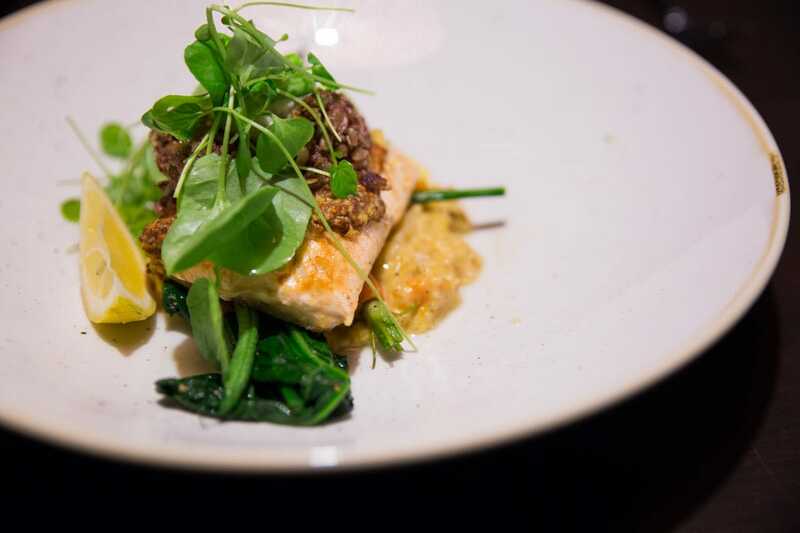 Then for mains we tucked into arctic char with a flavoursome risotto and swiss chard. It was the perfect spot to reflect on our memorable trip. Continuing your travels in Alberta, Canada? Clothing, prices and travel info for visiting Banff in Winter. Also check out my Edmonton Travel Guide and my Top Restaurants In Edmonton, Canada. 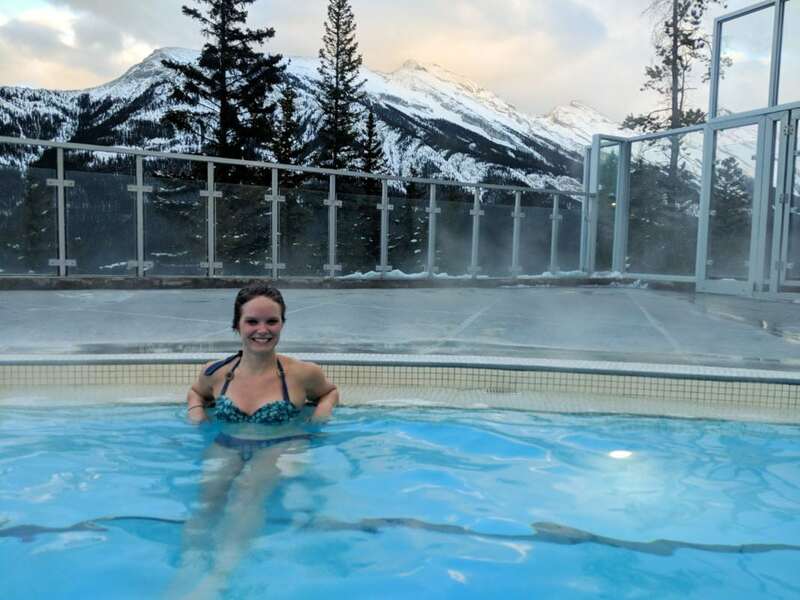 Plus check out what Macca from An Adventurous World rated as The Best Winter Activities In Banff, Alberta and where to find The Most Beautiful Views In Alberta, Canada. 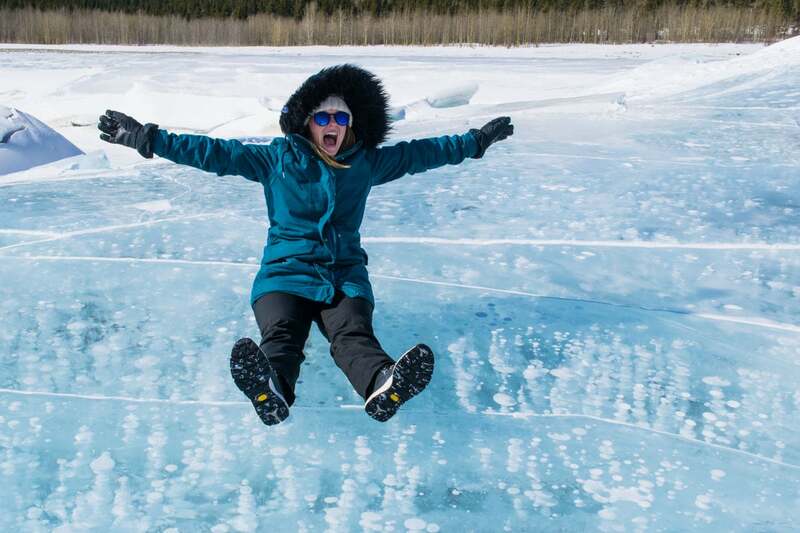 Oh and don’t miss Jess from The Travelista’s Alberta Winter Road Trip Itinerary. Chloe this trip looked unreal!! 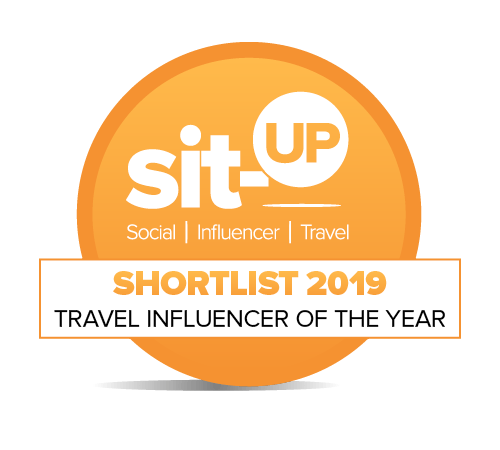 I absolutely loved following yours & Jess’s trips – they both looked so beautiful and have inspired me more than ever to book a trip to Canada!! 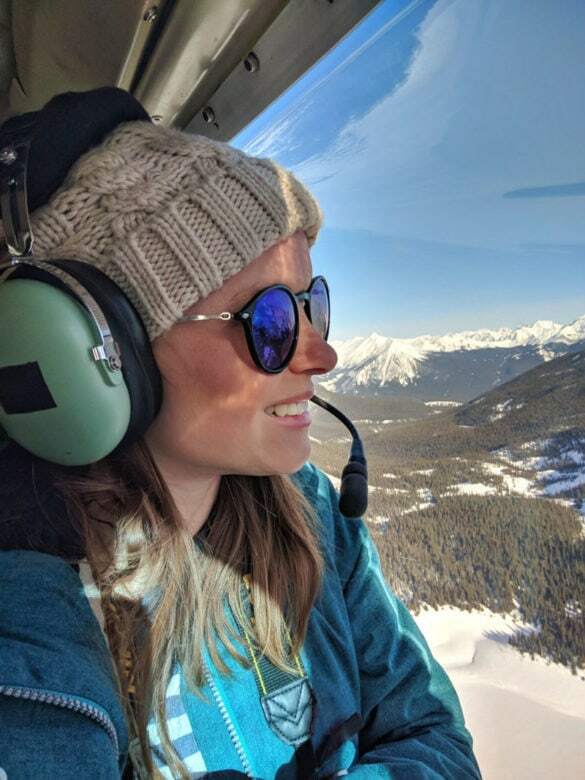 I’m not *really a skier so this post was the perfect read for me; I’d definitely love to visit Banff Springs and do the helicopter ride, how amazing?! Ah it really is incredible! I loved the scenery so much! What a gorgeous, gorgeous place!! I love the look of the hot springs! They were the perfect way to relax! Love this round up! We were there in September 2013 for our honeymoon and went to the Upper hot springs (as well as many other fun things!). Looks super magical in the winter!